With just over a month until the 2016 NFL Draft, now is the time for prospects to stay out of trouble, just continuously hit the gym and the field, and do everything that they can to win favor with teams around the league. 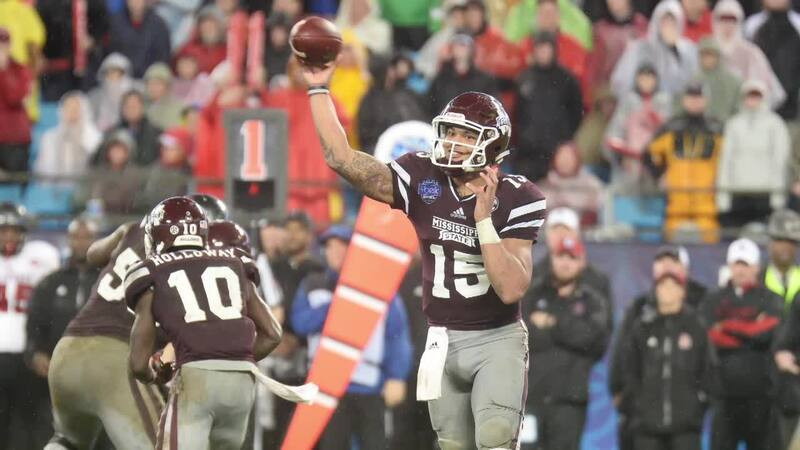 Former Mississippi State Bulldogs quarterback Dak Prescott failed to do that in a major way on Saturday as the prospect was arrested for DUI in Starkville, MS.
Before the DUI arrest, Dak Prescott looked to be a mid-round pick in the 2016 NFL Draft. 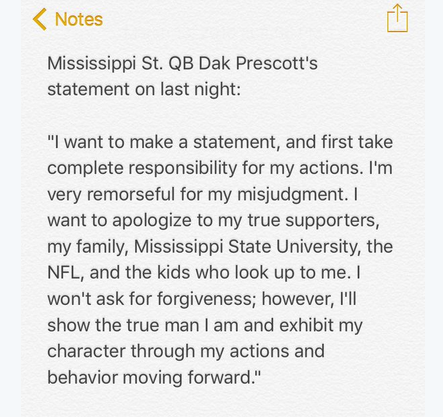 While there's no word on how this is going to affect the quarterback's draft stock, you have to imagine that it will have some negative effect.